This iconic British War medal features George V and still retains the detail at the top where the ribbon would have been threaded. It measures 5cm in length and has detailing on both sides. 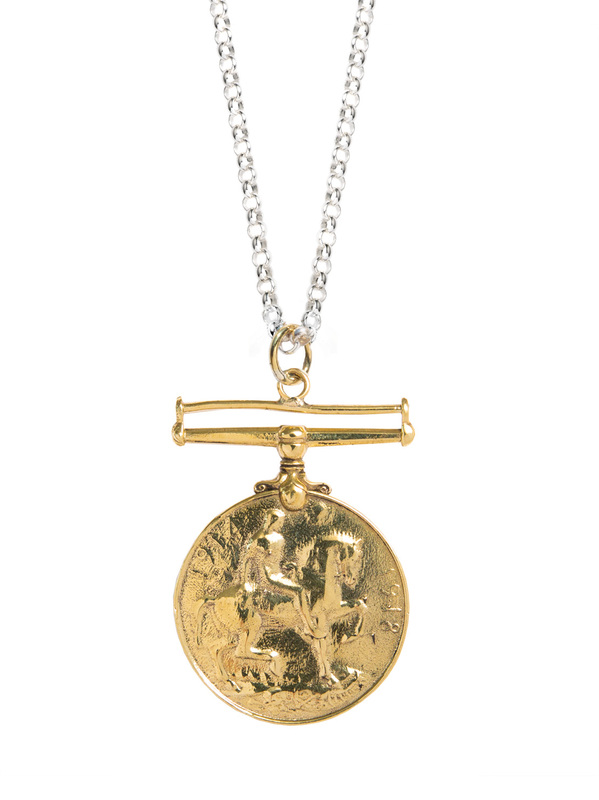 It hangs on a 80cm sterling silver belcher chain and is a real statement piece.